In Sub-Saharan Africa, there are little or no chronological structures or monuments and the cause is straightforward; Europeans have ruined most of them leaving only the skeletons and written accounts of them by explorers who explored those places prior to their ruination. This is always a worry for globetrotters who visit places in Africa and keep wondering why there aren’t much historical statues or buildings. These European destruction are more conspicuous in some parts of Africa. Many cities in Africa were deserted into ruin when foreign diseases such as small pox and influenza brought by the Europeans began to spread and to kill Africans. Thus, those cities were made to become ghost towns. To make it clearer, the history of Africa before the coming of Europeans will be shared, although a substantial part of the history of Africa is still latent. More so, the extent of these European destruction== are still under the ground, deeply buried and no one can really tell how and where to dig them out from, but I will unveil and throw better light on most of the ruined cities, and the knowledge we could elicit as Africans will be extensively beneficial in time to come. This will be based on information gathered concerning the state of African cities prior to their ruin as done by Robin Walker, an influential historian who is the author of the book ‘When We Ruled’, and by PD Lawton, (another significant Pan-Africanist recognised among great Africans), who is currently writing a book called “African Agenda”. All the quotes are excerpt from the books of Robin Walker and PD Lawton, they also quoted an eminent African Walter Rodney who wrote the book ‘How Europe Underdeveloped Africa’. Many sketches are excerpt from the book ‘African Cities and Towns Before the European Conquest’ by Richard W. Hull, published in 1976. That book depicts the typical white view of Africans living in a way that presents little or no life difficulties, an unsophisticated look-alike agglomerations, scattered without any appreciation for planning and design. However, Africans believed in the life they lived before the coming of the Europeans. they believe that their lives may not have been sophisticated but it suits them just fine. One of the cities ruined by Europeans is the city of Timbuktu in West Africa which in the 14th century was unbelievably five times larger than the city of London, and was the wealthiest city in the world, yet many Africans are not aware of this fact. But in recent time, Timbuktu is about 236 times smaller than London and surprisingly has no attributes of a modern city. The number of people living in it is two times less than the number of people that lived in it 5 centuries ago, with beggars, homeless people and dirty street sellers taking the greater part of that number. The town itself is not capable of preserving its past destroyed monuments or buildings and archive. In the 14th century, the 3 wealthiest places on earth were China, Iran or Irak, and the Mali empire in West Africa. From these three places, the only place that was still independent and successful was the Mali Empire while the other two which are China and the whole Middle East were defeated by Genghis Kan’s Mongol troops who severely damaged, looted, and defiled the places. Mansa Musa was the richest man in the history of Mali and also the emperor of the 14th century Mali Empire which surrounds the present day Mali, Senegal, Gambia, and Guinea. When he died in 1331, his net worth was evaluated at an amount equal to the present day 400 billion dollars and at that time Mali Empire was the major producer of salt and gold. You could see how wealthy he was. Glance below to see the picture view of emperor Mansa Musa, the richest man in human history. According to record, Mansa Musa carried a lot of gold on his trip to Mecca for pilgrimage in 1324, and spent them extravagantly which made the price of gold fall rapidly for ten years. He discovered the library of Timbuktu, and the popular manuscripts of Timbuktu which surrounds all areas of world information and skill were written during his reign. During this time, Mali had a minimum of 400 cities and the inside of the Niger Delta was thickly populated. The city of Mali,Timbuktu had 115,000 people living in it as at that time which is five times more than medieval London. Timbuktu at that time has intelligent culture and a wonderful lifestyle. There are old books which date back to a hundred years ago that are in the possession of many old West African homes who have private libraries, even Mauritanian cities of Chinguetti and Oudane have about 3450 medieval books written by hand. It is also possible that there are 6000 books still in existence in the city of Walata some of which go back to the 8th century AD. Also according to record, 11000 books are in private library collections in Niger. According to Professor Henry Louis Gates, approximately 25,000 university students studied there and recently, National Geography defined Timbuktu as the Paris of the medieval world. Conclusively, Timbuktu itself has approximately 70,0000 books in existence which are written in Mande, Suqi, Fulani, Timbuctu, and Sudani and the books include math, medicine, poetry, law and astronomy and were the first encyclopedia as at 14th century prior to the time the Europeans knew about them in 18th century, that is 4 centuries after. Surprisingly, a total of one thousand six hundred books were called an insignificant library for a West African student of the 16th century, a man called Professor Ahmed Baba of Timbuktu. According to record, Professor Ahmed Baba had 1600 volumes and was referred to as the owner of most insignificant library by his friends. This proves that the students of Timbuktu were well aware more than the Europeans. The mathematicians in Timbuktu in the 15th century were aware of the rotation of the planets, details of the eclipse, and these are things Africans waited for 150 almost 200 years to know after Galileo and Copernicus cropped up these same calculations which gave them a very hard time for it in Europe. Amazingly, regarding these old books, Michael Palin, in his TV series Sahara, said the Imam of Timbuktu “has a good number of scientific texts which are dated hundreds of years ago that obviously show the planets circling the sun. Ibn Battouta, defined the Tanzanian city of Kilwa, of the Zanj, Swahili speaking people in 1331, as “one of the most beautiful and well-built cities in the world. The whole of it is wonderfully built”. The destruction is extreme, considering the `Gothic` arches and internal stonework, a typical example of an extremely beautiful architecture. The aforementioned city came into existence according to history in the 9th century and was at its highest in the 13th and 14th centuries. Also, international African port made its own currency in the 11th -14th centuries. The remaining artifacts are currently links it to Spain, China, Arabia and India. The people who lived in this city even the architects and all those who discovered it were not Arabs and the only help the Europeans could render in the form of the Portuguese was to put a start to its deterioration especially through smallpox and influenza and also through physical destruction seen in 1505 when Portuguese forces ruined and burned down the Swahili cities of Kilwa and Mombasa. Source: Wikipedia, Architecture of Africa.” Fred Pearce the New Scientist 11/09/99. Glance Below To See a clear view of Benin city currently in Edo state in Nigeria as far back as 1891. The city Vaida in Guinea is not an exception. The first Europeans, Portuguese in the 15th century, sailed the Atlantic coasts of Africa and got in the coast of Guinea and stopped at Vaida in West Africa. The sailors were greatly surprised to see streets well mapped out, boarded on each side for several leagues by two rows of trees, throughout the days they explored through a country of beautiful fields, lived in by men clad in impressively colored garments of their own make. Going further to the south in the Kingdom of the Kongo(sic), they saw a crowd wearing magnificent silks and velvet; wonderful states well organised to the last with powerful leaders, and industries booming. In fact they were civilized to the core and the state of the countries in the eastern coast such as Mozambique, for instance was also the same with the above description. Africa was far more ahead in development than Europe in terms of political organization, science, technology and culture, until the end of 16th century and the success continued in spite of the ill effect of the European slavery. Up until the 17th and 18th century Africa was still ahead of Europe. Africa was filled with tens and thousands of successful cities, kingdoms and empires. All these great men and women who were the kings, queens, etc were they sleeping on banana trees as they always regard us as “black monkeys”? Remember, we are making reference to the richest men in the world. Were they dressed in tree leaves? definitely not! since they were not sleeping on banana trees, where are their palaces then at least to serve as reminder, and also their art works? No matter how big a splash the Europeans may make saying they were the people who made us better, I utterly disagree, they ruined us instead. The city of Loango, formerly known as beautiful city was ruined by European treasure hunters, pseudo-missionaries and other kinds of freebooters. In terms of their clothing and textile, the Kongolese textiles were also unique as written by different European writers of the sixteenth and seventeenth centuries. 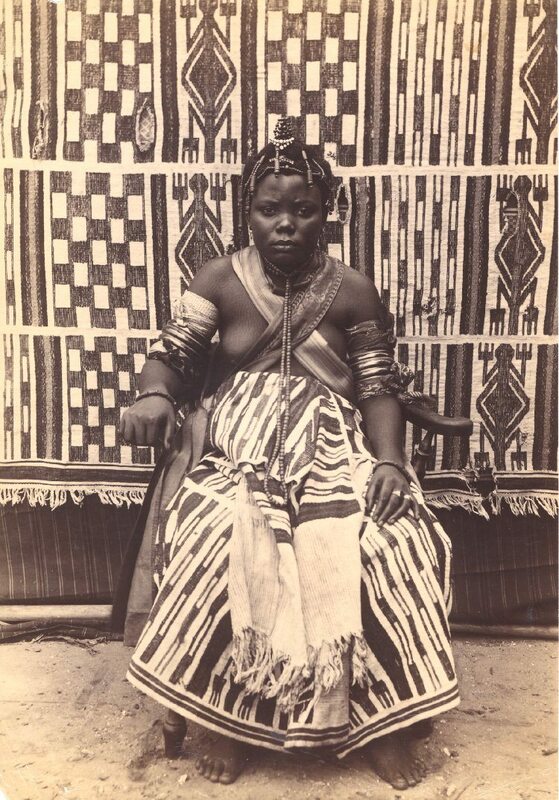 They wrote of the delicate crafts of the inhabitants of eastern Kongo and adjacent regions who produced such distinctive clothing as damasks, sarsenet, satin, taffeta, cloth of tissue and velvet. According to Professor DeGraft-Johnson their brocades(high and low) is more costly than that of the Italians. A modern scholar wrote that there exists an expert on metallurgical art in the ancient Kongo. The Bakongo were well-informed about the poisoning of lead vapours. They invented a means of preventing and curing diseases, pharmacological ( gave huge doses of pawpaw and palm oil) and mechanical (application of pressure in order not to obstruct the digestive tract), for fighting lead toxicity. The royal palace in the city of Kano in Nigeria dates back to the fifteenth century as it was ruled by Muhammad Rumfa in 1463-99. The royal palace has gently developed over generations into a very grand and impressive complex. A report of the city made during colonialism starting from 1902, gave a rundown of the city as a network of buildings covering an area of 33 acres and boarded by a wall that is 20 to 30 feet high externally and 15 feet internally. The capital city of Kanem-Borno known as Ngazargamu, emerged as one of the largest cities in the seventeenth century world. In 1658 AD, the metropolis, according to an architectural scholar had about quarter of a million inhabitants. Ngazargamu had about 660 streets and many of the streets were broad and reserved, reflecting effective town planning. An explorer who explored the central African civilisation of Kanem-Borno in sixteenth century gave a remark concerning the ruler’s mounted troops. According to him, they had golden stirrups, spurs, bits and buckles. Even the emperor’s dogs also had chains of the finest gold on. 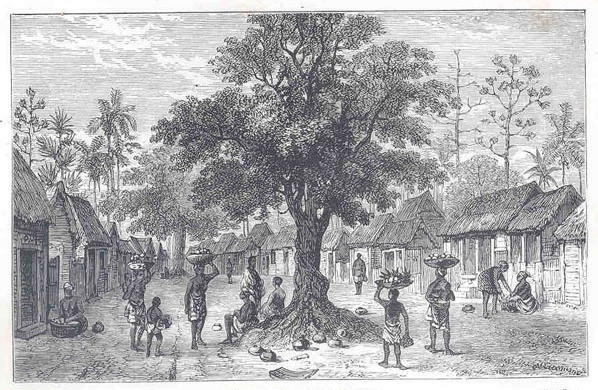 Surame; A city in Nigeria, boomed in the sixteenth century. Even in destruction, it was still evoking a beautiful sight. The walls of Surame measures about 10 miles in circumference and consist of many large walled residential area stretching out at right angles to the main wall. According to a modern scholar, the large compound at Kanta is easily seen in the centre still with destruction of many structures, one of which is said to have been two-storied. The obvious attribute of the walls is the extensive use of stone and tsokuwa (laterite gravel) or very hard red building mud brought from a distance, making the whole ruination more disturbing. There are about 600 stone built buildings destroyed in the areas of Zimbabwe, Mozambique and South Africa all in Southern Africa. These destructions are known as Mazimbabwe in Shona, the Bantu language of the builders, which means great respected and admired house and symbolizes court. The great Zimbabwe comprises 12 collections of buildings, spread over 3 square miles of which its external walls were made from 100,000 tons of granite bricks. There were 18000 inhabitants housed in great Zimbabwe equivalent to the number of people living in London at that time.The Great Zimbabwe was the largest of these ruins. The culture of the great Zimbabwe at that time was rich; the inhabitants dressed in expensive jewelry and cloths. The Horniman Museum in London had publicly displayed a headrest in an art gallery with the title: “Headrests have been used in Africa since the time of the Egyptian pharaohs”. The relics of some headrests, once covered in gold foil, have been discovered in the remains of Great Zimbabwe and burial sites such as Mapungubwe which dates back to the twelfth century after Christ. You can clearly tell the Great Zimbabwe was the largest of these destructions. Speaking of flashy culture, a seventeenth century man who explored the Southern African empire of Monomotapa, which ruled over this large region, recorded that: “The inhabitants dressed in many ways: the grandees at the king’s court dressed in cloths of rich silk, damask, satin, gold and silk cloth; these are satin having 3 widths, each width has four covados which is 2.64m, each of them stitched to the next, occasionally with gold lace in between, cut on both sides, like a carpet, with a gold and silk edge, stitched in place with a two fingers’ wide ribbon, woven with gold roses on silk. Also the royal palace Monomotapan located at Mount Fura had decorative hanging lights with branches for bulb hanging from the ceiling based on eighteenth century geography book. According to the book, the interior of the palace consists of a great assortment of splendid and expensive-looking apartments, spacious and tall halls, which are decorated with extremely beautiful cotton tapestry, that are produced by the country. The elements of building which include floors, ceilings, etc are thinly covered with gold. The metals are shaped and styled in a specific way ( beams and rafters) and are also gilted with either silver or gold. In addition to that, the chairs belonging to the state, tables, benches, beams and rafters, are covered with either silver or gold gilt and also candle-sticks and branches made of ivory inlaid with gold, which also hangs from the ceiling by chains of the same metal, or of silver coverage. Portuguese forces invasion into Monomotapa In 1571 marked the beginning of the ruination of the place and also in 1629, the then ruler Mavhura turned into puppet ruler of Munhumutapa in the interest of the Portuguese. According to Chinese reports of the fifteenth century AD Mogadishu had houses of “four or five stories high”. Another ruined city is Gedi, located near the coast of Kenya which is one of the East African ghost towns. Its destruction , started from the fourteenth or fifteenth century,Gedi consists of the city walls, the palace, private houses, the Great Mosque, seven smaller mosques, and three pillar tombs. The Gedi mosque in Kenya that was destroyed by Europeans among others used to have a water purifier made of limestone for converting waste water into reuseable water and also Gedi palace in Kenya comprise an indication of piped water controlled by taps. Not just that, the ruined city had bathrooms and internal toilets. Many islands were acquired that way because it was possible to slaughter the small population and easily prove that the land was empty before the arrival of colonial powers. They killed our brave and courageous warriors or soldiers, our world traders are also gone, pyramids, kingdoms, queendoms, and empire builders all gone as well. Sadly, the present generation is not yet to be taken care of in inventing the same which is why Africa no longer have the same version of brave and courageous fighters, and civilized builders. This has resulted in copying of European building plans and a host of others. More importantly, Africa as a continent was never a land belonging to no one(Terra Nullius); This formed the basis in proving that a land was officially in for colonization or take over. It is a Latin expression gotten from Roman laws used in international law to define regions which have never been subject to the authority of any state, or over which any prior authority has clearly or implicitly given up on the authority. Authority over region that is Terra nullius or does not belong to anyone can be earned through inhabitation. As a result of that, the Terra nullius law was changed to include land occupied by savages and uncivilized people. To me, Africa was not occupied by savages and uncivilized people rather Africans discovered, as revealed above, queendoms and kingdoms with great palaces and highly advanced political and social norms. However, colonial power ruined every sign of civilization at this point, burned down all the african chron Paris called “Musée d’Histoire Naturelle de Paris has about 18000 human heads slaughtered by French colonial soldiers and missionaries including the heads of African kings, king’s families, African engineers, writers, army officers, spiritual leaders, and also common men, women, cological buildings and structures, killed the African scientists, engineers, craftsmen, philosophers, writers etc. More-evidently, a museum inhildren which the french found fascinating, striking or attractive to slaughter in order to enhance the quality of their Museum of natural history where they showed mainly animals skulls. The enhancement of museums with human heads mostly from Africa was not just done by France, but also can be seen in museums around Europe. Again, the most significant effect of this law which described Africans as savages resulted in the capturing of Africans to show in zoos and public events such as amusement parks around Europe, in local conditions to present the inferiority and barbarism of the Africans. 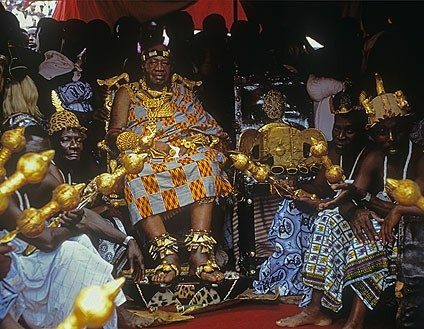 Even now, most Europeans still regard Africans as savages and unintelligent people and the more an African exhibits that characteristics in any way that match that dishonor, the more happy they become and also the more the African would be found agreeable, enjoyable,satisfactory and therefore become more favored. Oh yes! Its one of the many reasons why you see a black man acting differently in his dealing with whites and quite the opposite in dealing with fellow blacks. One of the qualities the Europeans hate to embrace when exhibited by an African is brightness, smartness and confidence. Thus, proving why many Africans in European countries knowingly display severe humility acting submissive and docile in order to gain acceptance by them but rarely act in the same way towards fellow blacks. An obvious example is the type often played by Soninke people from Mali in Paris where they usually go to the french public administration and portray themselves as the most ignorant Africans, speaking cut and join french, showing great sign of unintelligent and inability to speak and immediately the public servant would find a dormant humanitarian mission to help a primitive African to organize his papers. The most depressing of them all is the painful fact that there are no remains of our ancestors, taking all the glory of Africa to Europe invariably made us poor and now, they refer to us as a poor continent…… so sad. On arrival to Africa, the Europeans devised a strategy and agreed on slaughtering the strong-willed, stealing valuables from the palace, develop the weak,banish the bright and assertive ones and compel the observation of colonial rule. Consequently, the kings, philosophers, and their heirs were all slaughtered and sold away were about 12 millions of African beauties (women) and also finest of men to American with quite a good number of them dying in the process in the name of slavery which lasted for about three centuries. The fact of the matter is that they broke the link for a common man to learn since they killed our philosophers and no one could transfer knowledge and skills to others during this period of slavery. Based on a story that was told about Africa before this period, the Europeans began slaughtering Africa’s philosophers, craftsmen, engineers on arrival which lead to a group of young Africans finding a place to hide the manuscripts (a book written by hand rather than typed or printed). Some of the great African men fled during this time, later on the manuscripts were transferred to two brothers. According to the same story, the two brothers hid the books, sent them in different courier before they got killed too by the Europeans. Most certainly, the manuscripts will unveil a lot of secrets that make Africa great once again if found. Many Africans had in the past embarked on the search all to no avail. The search continues as many Africans are yet to give up. The content of the books will certainly make Africa the most powerful continent in the world once more, the likes of America, Asia, Europe will come seeking for their help and knowledge and even bow before the African kings. Don’t be astonished, it was so in the past. Africa was a typical replica of what Christopher Columbus wrote about the Amerindians. He described them as “artless and generous with what they have, to such a degree as no one would believe but him who had seen it. Of anything they have, if it be asked for, they never say no, but do rather invite the person to accept it, and show as much love as though they would give their hearts.” He then wrote things he would to the good Indians saying the following “we shall powerfully enter into your country, and shall make war against you in all ways and manners that we can, and shall subject you to the yoke and obedience of the Church and of their Highnesses; we shall take you, and your wives, and your children, and shall make slaves of them, and as such shall sell and dispose of them as their Highnesses may command; and we shall take away your goods, and shall do you all the mischief and damage that we can, as to vassals who do not obey, and refuse to receive their lord, and resist and contradict him; and we protest that the deaths and losses which shall accrue from this are your fault, and not that of their Highnesses, or ours, nor of these cavaliers who come with us…” Surprised? don’t be, it is so visible Africans were exploited and no one is doing anything to avail the situation. We need to work hard and invest everything (both time and resources) to revive the lost glory of Africa of which thousands( arts objects, civilisation artifacts) are lying in European museums both public and private. We need to grow from strength to strength in recovering all the lost glory to save our generation and generations to come. Africans are great people from beginning and therefore we will fight relentlessly to find this manuscript that will uncover the secret of greatness and as well as connecting us to our ancestors.